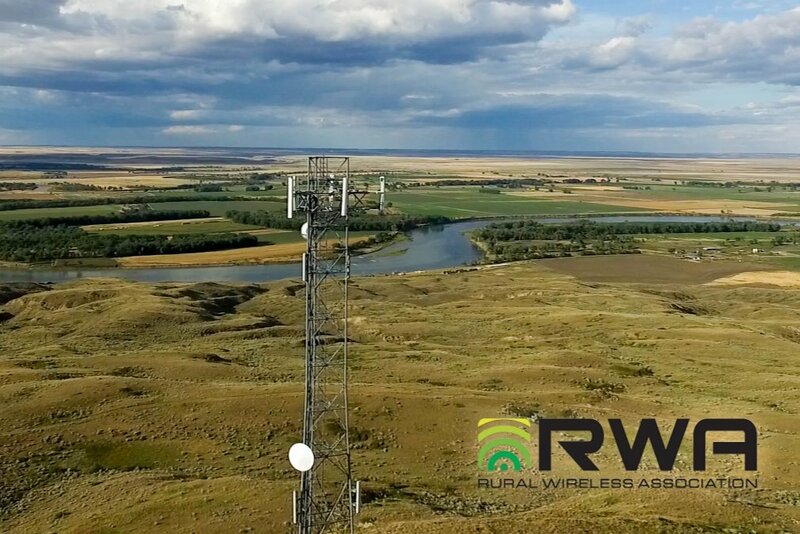 The Rural Telecommunications Group, Inc. (“RTG”) is deeply concerned about the anti-competitive affects of AT&T Inc.’s (“AT&T”) proposed acquisition of 700MHz spectrum from Qualcomm Inc. (“Qualcomm”). According to press releases issued by the two companies, AT&T intends to purchase 12MHz of Lower D Block and E Block licenses covering 300 million people nationwide, including major metro areas like New York, Boston, Philadelphia, Los Angeles and San Francisco, and 6 MHz Lower D Block licenses covering 230 million people for $1.925B. Were AT&T to purchase this large swath of prime nationwide spectrum without any imposed conditions, it will not only remove yet another large competitor from the mobile broadband playing field but will simultaneously limit the viability of small and rural mobile wireless carriers and their customers. The proposed transaction is a prime example of the anti-competitive harms that stem from excessive spectrum aggregation by large wireless carriers. The FCC initiated a rulemaking proceeding (RM 11498) specifically asking whether a spectrum cap should be imposed on all commercial terrestrial wireless spectrum below 2.3GHz. The public record in the spectrum cap docket demonstrates clearly that the vast majority of the industry is in support of a reasonable spectrum cap to be imposed on all carriers. By allowing AT&T to acquire a nationwide swath of prime 700MHz spectrum this will only further exacerbate the divide between the haves and the have-nots and lessen the marketplace choices for all American consumers. However, if the FCC approves the proposed sale of Lower D and E Block licenses in the 700MHz Band, it should impose three conditions. First, despite AT&T’s vague claim that the spectrum will be used for “supplemental downlink, using carrier aggregation technology,” it is extremely likely that this 6-12MHz of spectrum in the D and E Blocks will now be combined with AT&T’s adjacent B and C Block spectrum to create a “super Block” of prime 700MHz spectrum which it will deny to roaming partners. Any FCC approval of the transaction must be conditioned so that any technologically compatible carrier requesting data roaming on these new bands be granted roaming access for its customers on reasonable terms and conditions. Second, in order for AT&T to take full advantage of this adjacent spectrum, it will have to reconfigure its mobile devices to incorporate multiple Band Classes. Any FCC approval of the license grant should include a requirement that any devices working in the Lower 700MHz Band must work on ALL spectrum Blocks (A, B, C, D and E). The FCC has already opened a rulemaking proceeding on the anti-competitive harms resulting from a lack of inter-operability in the Lower 700MHz Band (RM 11592). Although the D and E Blocks Qualcomm intends to sell are currently used for one-way, downstream video broadcasting, there is currently nothing stopping AT&T from re-configuring the newly adjacent B, C, D and E Blocks. This potential re-configuration is important because it opens the door for the creation of new mobile device band classes that can work across the entirety of the Lower 700MHz Band. Previously, AT&T pushed for the development of mobile devices that would work only on Band Class 17 (Lower B and Lower C Blocks). AT&T has vociferously argued that developing mobile devices that work on neighboring channels (such as Band Class 12 which works on Lower A, B and C Blocks) is impractical. The simple fact that AT&T will work with mobile device manufacturers to create hardware that works across most of the Lower 700MHz Band with the possible exception of just one block (A Block) will irreparably harm the dozens and dozens of small and rural carriers who will be unable to acquire mobile devices that are inter-operable across the entire Lower 700MHz Band. Furthermore, by stipulating that all Lower 700 MHz Band device be inter-operable, the FCC will quickly and efficiently facilitate the data roaming obligation imposed on the D and E Blocks. Third, in addition to the data roaming and mobile device inter-operability requirements imposed on any grant of the D and E Block licenses, the FCC should once and for all prohibit handset exclusivity agreements between commercial wireless carriers and mobile device manufacturers. The public record (RM 11497) illustrates how carrier-manufacturer exclusivity agreements disproportionally harm rural customers and eliminates marketplace choice and innovation. With the inevitability of LTE inter-operability across the entirety of the Lower 700MHz Band, there is no valid, pro-consumer reason to allow for only one carrier to sell a specific vendor’s devices which would otherwise work harmoniously on numerous LTE networks nationwide. This arbitrary barrier to consumer choice is intended only for the benefit of large carriers wishing to stifle the viability of smaller mobile wireless carriers. Any approval of this transaction must be predicated upon the elimination of all carrier-manufacturer exclusivity agreements. RTG and other carriers and associations have long-maintained that excessive spectrum aggregation in the lower bands, combined with a lack of data roaming and device inter-operability will do nothing but harm American mobile consumers. Should the FCC agree to the grant of Qualcomm’s D and E Block licenses to AT&T, it should be done with the specific conditions expressed above.